Prominent Georgia business man. Helped organize Adams Express in the southern states and later Southern Express Company. Organized First National Bank of Augusta. President Macon & Augusta Railroad Co. Supported rights of Blacks to hold public office. Georgia governor after Civil War (1868-1871). Forced to resign by political adversaries but later vindicated of all charges of corruption. 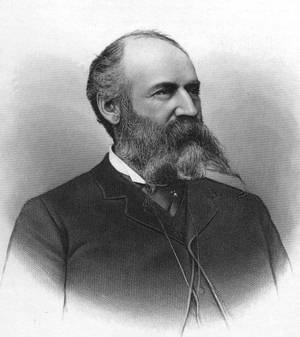 Appointed director of the Union Pacific Raillway by President Harrison in 1889.